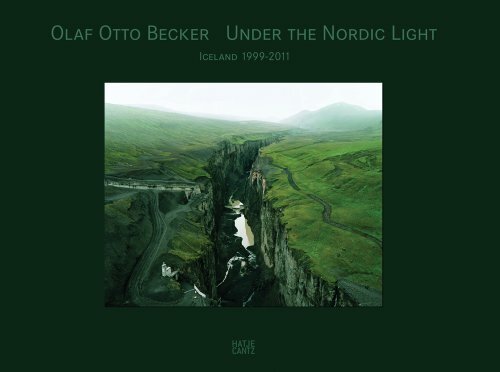 For over ten years now, Olaf Otto Becker (*1959 in Travemünde, Germany) has traveled the high northern spheres, sparing himself no hardship. On a search for the never-before-seen image of primeval landscape, where the eye encounters the boundaries of familiar vision and nature becomes a mirror of the soul, Becker observes distinctive geographic features and waits for the ideal light conditions to manifest. Then, and only then, does he remove his heavy, large-format camera from its case—often in the middle of the night—to capture nuances by weak light, while at the same time generating the maximum possible technical quality. Becker’s deliberately subjective perspective goes beyond the notion of simply reproducing reality, so that his images are of great clarity, breadth, and concentration. This publication contains previously published and new photographs of Iceland that show primordial landscapes alongside traces of civilization and economic crisis.